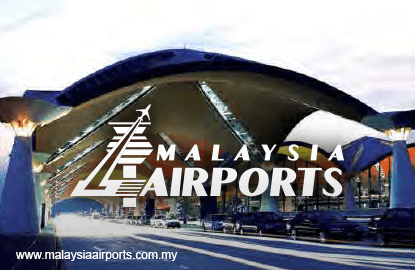 KUALA LUMPUR (Oct 27): The lack of a couple of one-time gains caused Malaysia Airports Holdings Bhd (MAHB) to post an 84.4% lower net profit for its third quarter of the 2016 financial year at RM10.68 million, compared with RM68.5 million a year ago, despite a 5.7% gain in revenue. Revenue for the three months ended Sept 30, 2016 (3QFY16) was at RM1.08 billion compared with RM1.02 billion previously, its bourse filing today showed. The airport operator's accounts had reflected an RM81.2 million disposal gain last year after selling off its stake in the Delhi International Airport Pvt Ltd. There was also an unrealised gain from foreign currency translation of a bridger loan that amounted to RM63.4 million, besides associated finance costs of RM59.2 million. Hence, its net profit for the year-to-date (YTD) period ended Sept 30 was down 54% at RM37.07 million compared with the RM80.74 million it achieved in the same period last year, though revenue climbed 9.1% to RM3.09 billion from RM2.83 billion. In terms of profit before tax (PBT) and zakat, MAHB said its normalised PBT for the financial period to date under review would have improved by 593.7% or RM84.5 million if those factors were excluded. Its Malaysian operations showed a 34.2% PBT improvement as revenue gained 10.4%, though these were negated by a 45.3% drop in other income — due to the lack of disposal gain and the foreign currency translation gain of a bridger loan — and a 1.5% rise in total costs. "Excluding the one-off gains and associated finance costs in the prior period, PBT improved by 47.6% or RM88 million," said MAHB. Its overseas operations, however, saw loss before tax expanding by 68.2% or RM70.6 million, mainly due to higher losses at its Turkey operations, the Istanbul Sabiha Gokcen International Airport and LGM Havalimani Isletmeleri Ticaret ve Turizm A.S, up 57.6% or RM64.4 million (YTD 2016: -RM176.2 million; YTD 2015: -RM111.8 million). Further, MACS Middle East Llc's PBT fell 74.4% to RM6.1 million on higher cost and lower revenue. MAHB said its passenger movements for domestic and international sectors in Malaysia gained 8.3% and 10.9% respectively for the third quarter, the highest quarter in 2016, with both local and foreign carriers continuing with impressive growth at KLIA. "The group's passenger traffic for fourth quarter is likely to outperform the rest of the year due to improved load factors and increased airline seat capacity," it said. As for its overseas ops, it noted that while 3Q traffic was higher than the previous two quarters, it was down 3.1% year-on-year. However, it anticipates growth in the near term as sentiment continues to recover after the attempted military coup in Turkey. It also expects its recently secured three-year extension for its facility management services at the Hamad International Airport, in Doha, Qatar — valued at QAR163.9 million or RM180.8 million — to bode well for the group's overseas opportunities. At 4.16pm, MAHB shares were unchanged at RM6.50 with a market capitalisation of RM10.79 billion.